If there is one thing that the 1.5 million HOS absolutely love, it is that you speak their language. Even if it is a few words and your accent is bad, the answer to your effort is shining eyes and the broadest smile possible. The Hos love their language; it is vibrant, widely used, and right now witnesses a renaissance in songs, film, and literature. So, the demonstration in Delhi on 3-4 December to get the HO language recognised in the constitution of India, comes at a good moment. It is amazing that the HO language got so little official attention so far. 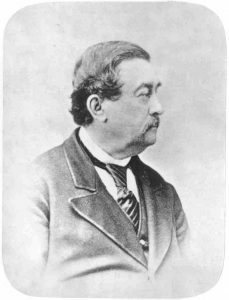 Samuel Richard Tickell. author of the ‘Grammatical Construction of the Ho language’ (1840). The HO language is the first tribal language in India with a printed grammar. In 1840, Samuel Richard Tickell published his ‘Grammatical Construction of the Ho language’, together with an extensive list of words and phrases. Of the most related languages, the first Santhali grammar came only 14 years later, and a proper Munda grammar did not appear before 1903. Still, the Indian administration calls the group of languages to which HO belongs, “Munda”, which is not good for the visibility of the HO language. That is an accident of history. And, remarkably, it has to do with a story told by the Oraons, and with Birsa Munda’s movement. And with Fr John Hoffmann, of course. Max Müller, Sanskritist’. 1853. In 1854, in Oxford, he coined the name “Munda languages”. The early linguists were not sure to which languages inside Chotanagpur HO was related and to which languages it was not. In 1854, in far-away Oxford, the armchair Sanskritist Max Muller used Tickell’s articles, and concluded that HO was very different from Oraon. So how to call the group of languages to which HO belonged? Even though the Munda language was not described, Müller called the new language family “Munda”. This was because he knew there was an Oraon story that when they came in Chotanagpur, they found Mundas already living there. So, historically, the Mundas must have been the first. He gave this opinion in a private letter to a fellow linguist. Moreover, he never visited India. Muller’s remarks therefore, were hardly known there. 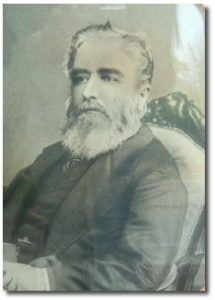 George Campbell, 1824 – 1892. In 1868, he spoke about the Kolarian languages. As Campbell knew next to nothing about them, he asked Edward Tuite Dalton, Commissioner of Chotanagpur and also an ethnology buff, to write about the tribes of Chotanagpur. Dalton rushed through it, and the article arrived just in time to be printed. Dalton was aware of different language groups in Chotanagpur, but did not give these a name. He just called these tribals “Kols”. He was not happy with the word as it was a term of abuse used by outsiders. Therefore, “Kols” appeared between quotation marks in the title of his article: “The ‘Kols’ of Chota Nagpore”. There was no time for revision. 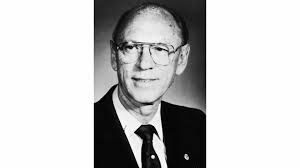 But, probably as an afterthought, Campbell had Tickell’s “Grammatical Construction of the Ho language” reprinted in the same issue, and put before its title: “Language of the Kolarian Aborigines”. 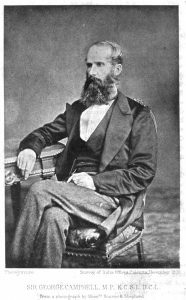 Edward Tuite Dalton (1815-1880), Author of The Descriptive Ethnology of India, 1872. A few years later, when Dalton wrote his monumental “Descriptive Ethnology of Bengal” (1872), a spin-off of Campbell’s failed plan to hold a huge ethnological exhibition in Kolkata, he had given the issue more thought. He treated the Dravidian languages such as Oraon separately, and, following George Campbell, used “Kolarian” for the group of languages to which HO belongs. That he did not give the HO name to the whole group of languages was not anti-HO bias of Dalton. He was fond of the HOS and spent his Christmas holidays in Chaibasa. He devoted much space to them in his book. As he was not clear about the differences between HOS, Mundas and Bhumij, he treated them mostly together as part of the “Kolarian” group. 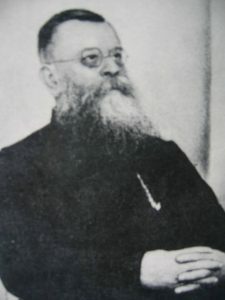 Father John Baptist Hoffmann S.J., 1857-1928, missionary and great authority on the Munda language. By the beginning of the twentieth century, the situation had changed. 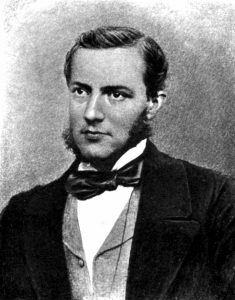 Max Muller had died in 1900, and his death had given rise to much attention to his works. In India, the Birsa Munda movement had impressed Kolkata that now something drastic should be done to prevent further disturbances in the Munda country. Then, in 1903, Fr John Hoffmann’s “Mundari Grammar” appeared. He called it a “Kholarian” dialect, but the general attention was now firmly directed towards the Mundas. Sten Konow, Indologist (1867-1948). Compiled “Munda and Dravidian Languages”, volume IV of the Linguistic Survey of India, 1906. In the Linguistic Survey of India, there had been little on the HO language: “the dialect of the Hos has no literature.” Tickell’s HO grammar was long out of print. The Mundas had a freshly printed grammar, and they were in the public light. Their grammarian John Hoffmann was consulted by the legal lights of the Kolkata bureaucracy when they were busy preparing the Chota Nagpur Tenancy Act of 1908. In this way, the Mundas were heard – albeit that their voice was John Hoffmann’s. They could say, मेरे पास हॉफमैन है. On the other hand, the HO language, though recognized and by far the first to have their grammar printed, remained in the linguistics shadows because at that time, the HOS had nobody to speak for them in the corridors of power in the capital.